A bad experience with The Grapes of Wrath in high school soured my attitude toward John Steinbeck for a very long time. But a few years ago I decided to give him another chance with East of Eden, and boy am I glad I did. To say I loved this book would be putting it mildly. 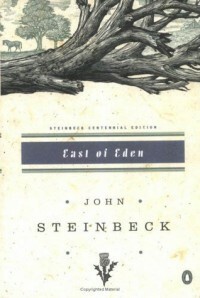 East of Eden instantly skyrocketed to the top of my all-time favorites list. It is top 5 material. Oh, by the way, I recently gave The Grapes of Wrath another go and it was fantastic as well. I guess some things really do get better with (the reader's) age.